Carpet Pro produces high powered, cost efficient floor care products for both commercial and residential application, manufactured by the Tacony Corporation. Efficient and durable, Carpet Pro vacuums quietly and adeptly eliminate even the most stubborn dirt.Carpet Pro high filtration vacuum bags are constructed of multiple paper filter layers lined with an inner micro filter layer, enabling them to capture dirt, bacteria, and particles up to 0.1 microns small, including allergens like pollen, spores, and dust mites. When used properly, these strong and durable bags will not let you down by breaking easily. For those with pets, combine the Carpet Pro CPU 2T with a Carpet Pro bag and you’ve got one of the best solutions for animal hair. 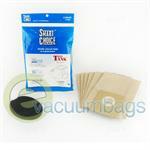 Premium Filtration Paper Vacuum Bags for Carpet Pro Model CPCC-1 Compact Canister Vacuum Cleaners. 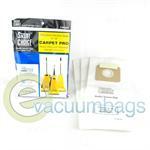 Allerest Liner Paper Vacuum Bags for Carpet Pro Heavy Duty and Standard Upright Vacuum Cleaners. 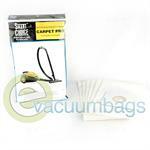 Paper Vacuum Bags for Carpet Pro BackPack SCBP-1 Model Vacuums. 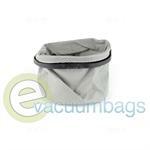 Cloth Vacuum Bag for Carpet Pro SCBP1 Commercial BackPack Model Vacuums. 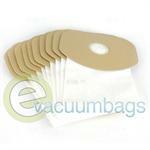 BioClear Treated Paper Vacuum Bags for Carpet Pro SCC-1 Tiny Tank Compact Canister Model Vacuum Cleaners.